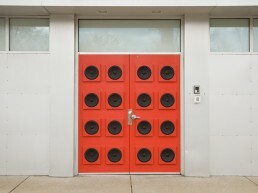 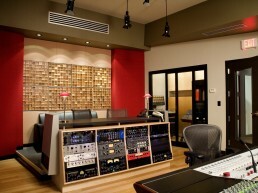 Sherpa Studio | Pilchner Schoustal International Inc. 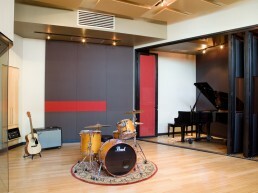 This studio is designed to fit into an existing structure. 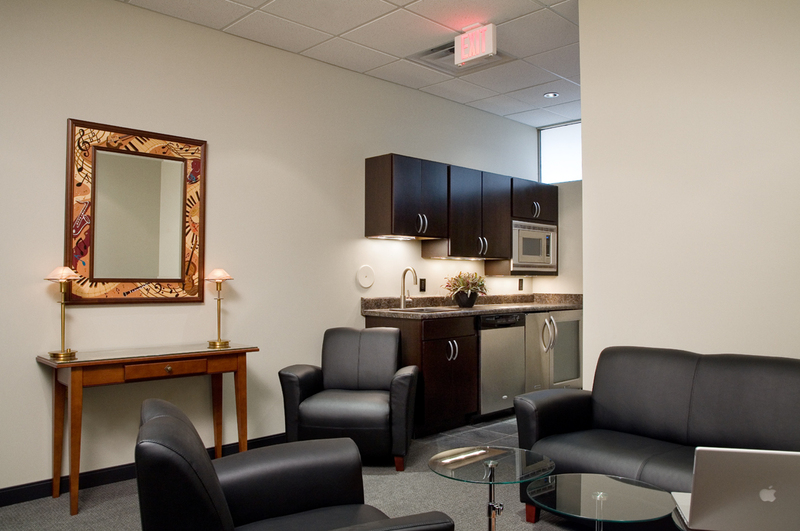 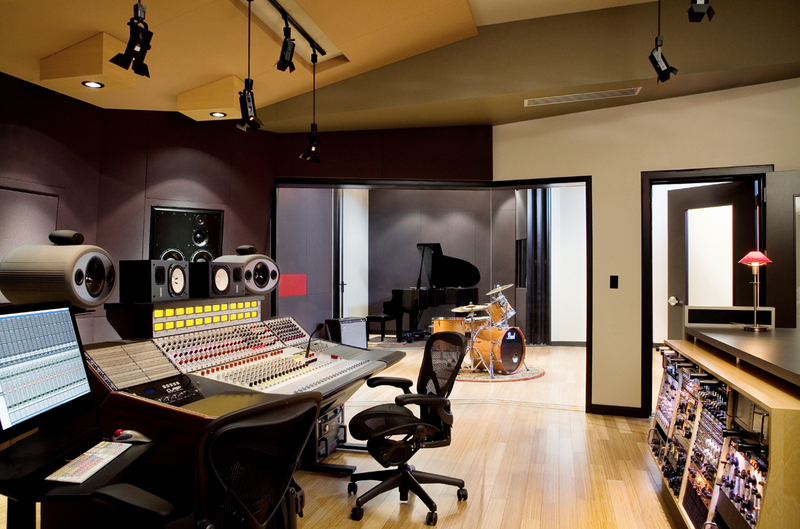 The control room and studio take up the higher ceiling parts of the building, and a client lounge, entrance area, kitchen, and small edit suite take up the front portion with lower ceilings. 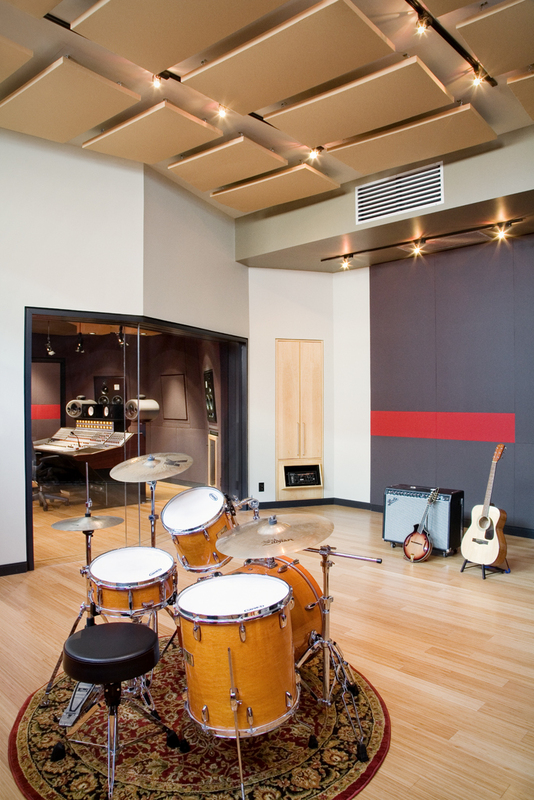 The control room features controlled reflection geometry designed for stereo mains and 5.1 mid field applications. 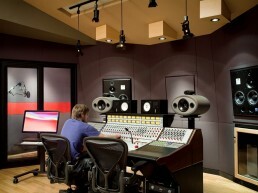 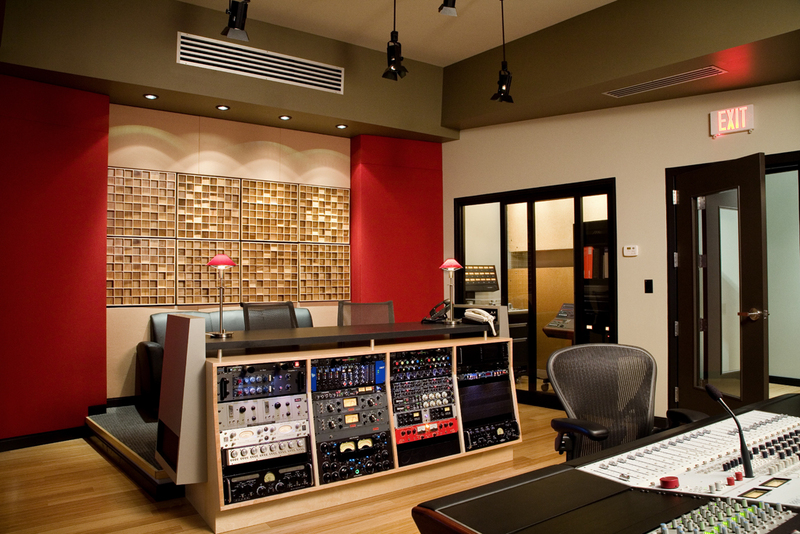 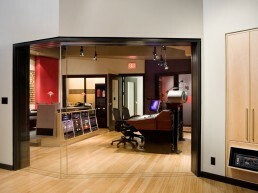 The control room is flanked to the left by a dedicated isolation booth, and to the right with a larger studio proper. 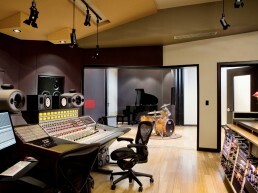 The control room also has an attached machine room area which houses the computer systems, tape machines and plate reverbs. 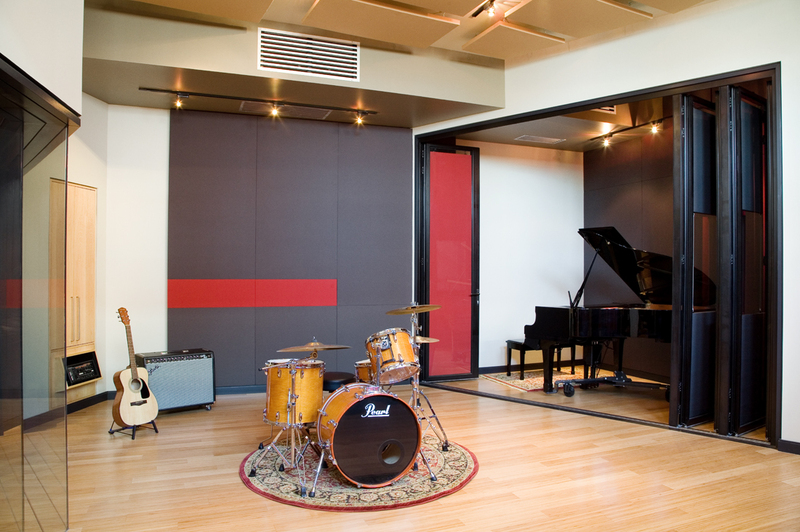 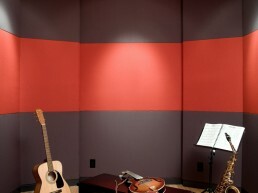 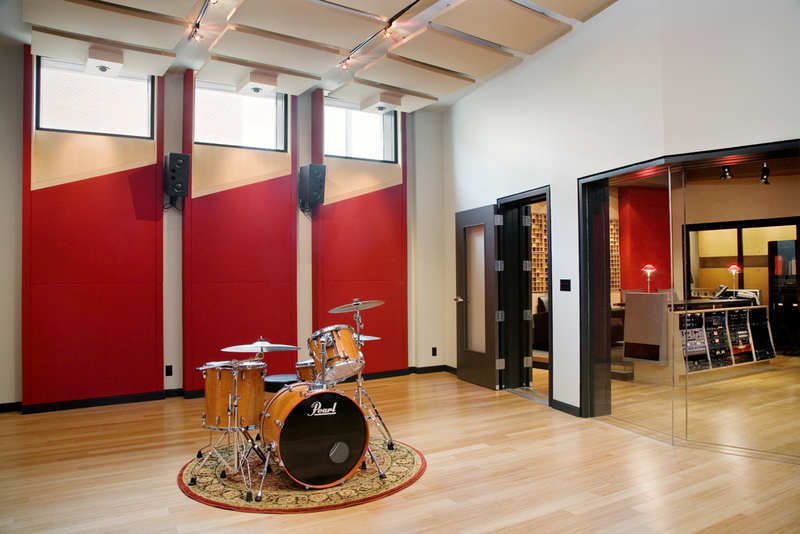 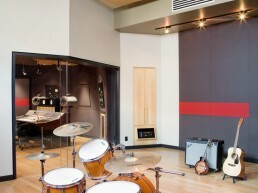 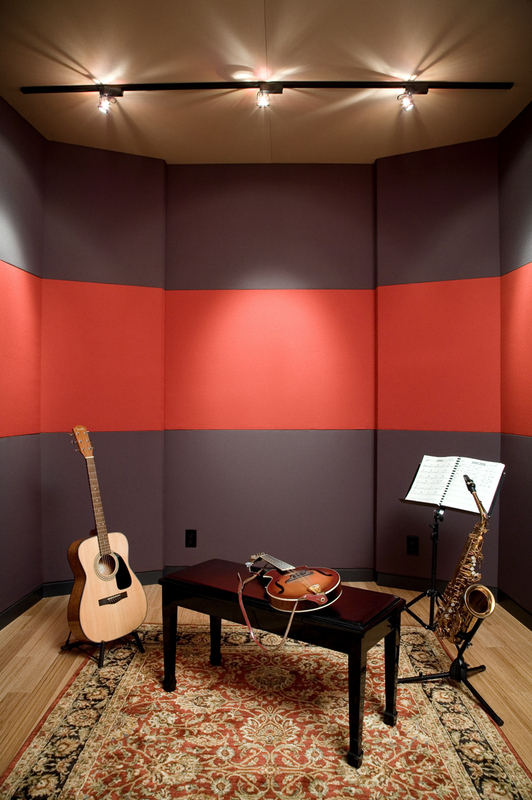 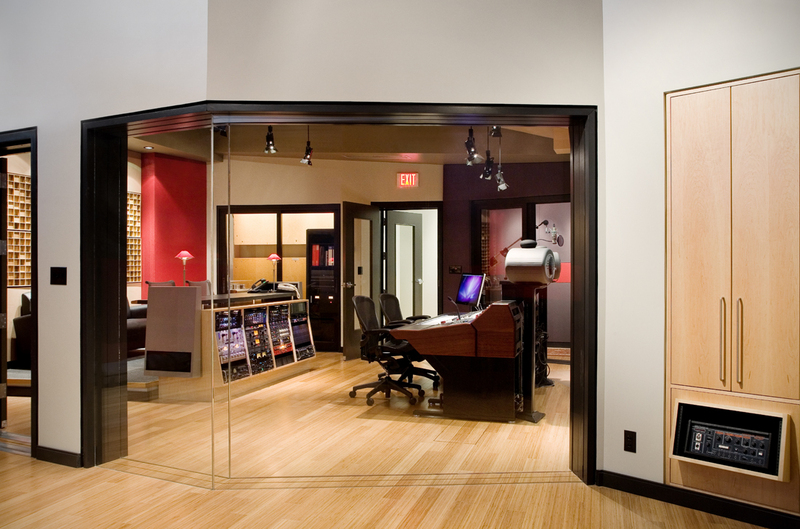 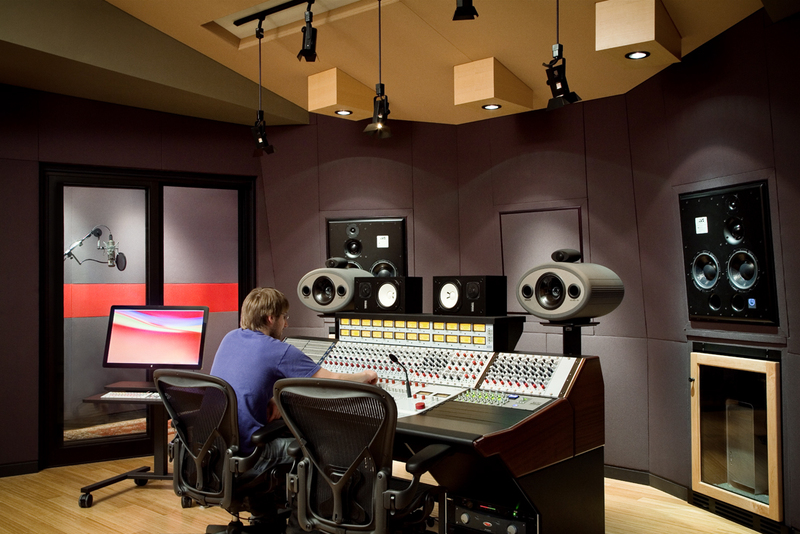 The studio proper has an isolation booth area that can be partitioned off through the use of moving glass panels. 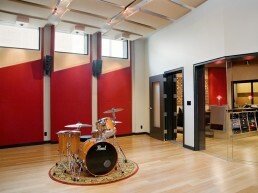 Three existing windows have been re-purposed and sound isolated to provide natural light into the space.